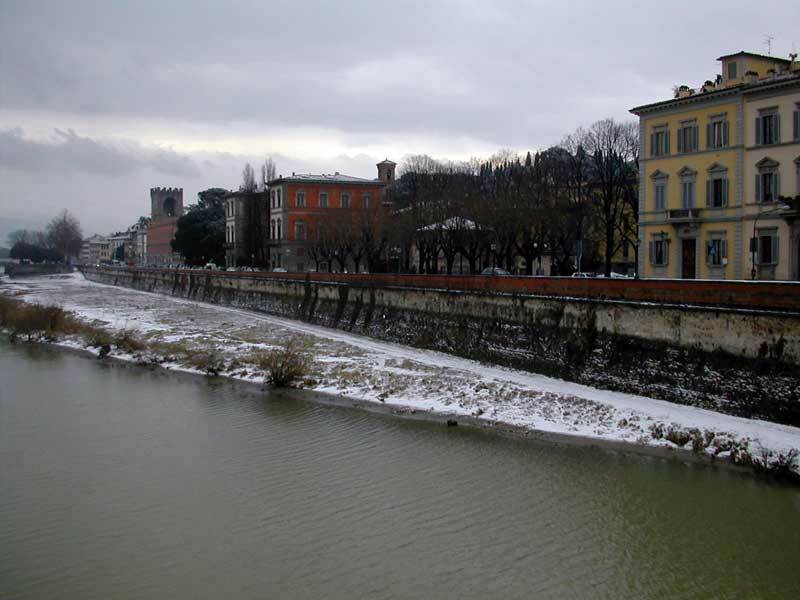 Living in Florence :: Snowing again? Today instead of watching the snow from our apartment, I wanted to go out to take some pictures so I could remember what Florence looked like with snow. I quickly got dressed to go outside, putting on two scarves, gloves, and a hat. When I left the apartment, I didn't know where I was going. I got in front of Santa Croce and decided to go back to the Arno river where I took the last picture on the clear and sunny day. The area certainly looked different. Bleaker, with snow on the hillsides and rooftops. I stood on the Ponte alle Grazie with the wind whipping by and took some pictures. One American guy walked past me and said to another person in his group, "I thought Italy was warmer than this." I smiled and thought, so did I.